Perpetuum Mobile, meaning perpetual motioni, is a Latin term that describes an impossible situation in which a substance has infinite energy. This situation is impossible because it violates the first and second laws of Newton. But it is possible in music. Imagine a musical piece that is a continuous stream of notes. These are exactly the etudes in this album. They do not stop, they are always in motion and they can be played continuously. Etudes are solo pieces, purposed to help the musician practice his technique. 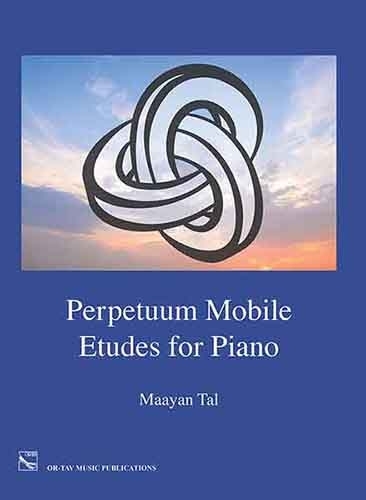 In this album, each etude is designed to practice another technique. 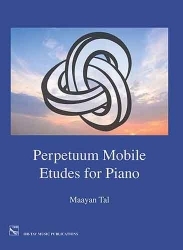 In addition, the etudes in this album are arranged according to the circle of fifths - each etude ends in a key which is dominant to the beginning of the next etude, even the last etude to the first one, and so on and so forth. This further emphasizes the infinite mobility of the music in this piece. Once you enter the loop, you can't get out of it. All the etudes start in a minor key, as a symbol of the sadness of the matter, and end in a major key, to represent the hope, a false hope, that perhaps the next etude will take you out of the loop. This album is a three-year-long project, in which I gathered ideas from the environment in which I live, from the people in it and from their thoughts, from life that continues all the time, and the music that will never stop. Maayan Tal, 17, is a young Israeli musician, pianist and composer.